Aside from considering the aesthetics and safety of a space, one must also consider adding eco-friendly accents to their interior design scheme. Decorating a villa while considering the environment and the health and wellness of the people enjoying your space is called sustainable designing. It’s easier that you think. With a few simple changes you can transform your space. The expert interior designers at Milestone have compiled a few tips to get you headed down the path to sustainable interior design. Placing plants in your home or office instantly adds the soothing element of the great outdoors. Additionally, plants help filter air and aid in removing harmful elements in the room. Peace lilies, Sensevaria, areca palms, Ficus, Boston fern, bamboo palms or gerbera daisies are particularly helpful for purifying the air. Consider adding a vertical living wall or a water wall with plants. Be sure to choose flowers and plants that fit with your home. Indoor custom water features also add the soothing sights and sounds of water, adding to the soothing ambiance of your home. 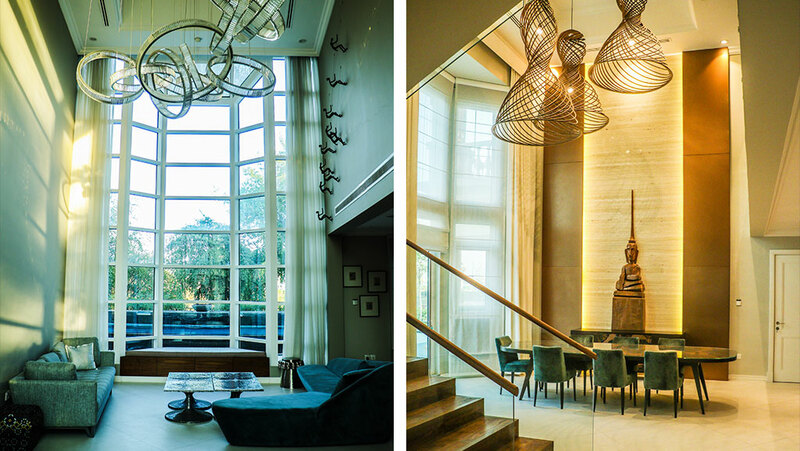 Letting in the sunlight and maximizing the daylight is another way to instantly create an eco-friendly interior. There are many simple ways to add more light to your home. Start by pulling back the curtains and shades during the day. You can even get creative by adding glass prisms to add a whimsical element that catches the light. Avoid placing thick dark furniture near the window. Incorporating light colors in your interior design scheme and white trim around your windows also enhances the natural light in your space. If you are looking to increase the natural light in a more permanent manner, consider converting solid exterior doors to doors with windows. Adding energy efficient windows to south walls also creates more natural light in your room. You can also add tubular skylights to your ceilings. Unlike traditional skylights, which can be expensive, tubular skylights are budget friendly and are air-tight (to avoid drainage issues). Natural sunlight will make your residence feel healthier, safer and more comfortable. From an interior design standpoint, the lighter and brighter the room is, the more comfortable it is! If you are really aiming to achieve an interior that is good for the environment, you have to do away with plastic, particleboard and chromed metal. Decorating with natural materials is a great way to achieve an eco-friendly home. Replacing manmade materials such as plastic, particleboards and chromed metal with rustic woods, stone, burlap, and cotton instantly create the cozy feeling of the natural environment. Adding furniture crafted from wood or with wood accents also creates a functional and sustainable decorative accent for your space. You can even repurpose old wood items, transforming them into a new bench or storage option. Consider trading out your mattresses, pillows, carpets and beddings for wool options. Wool is not only durable and comfortable, but it also deters dust mites. Dust mites cause allergies and are not good for your health. These natural materials are better for the environment and they look fantastic! 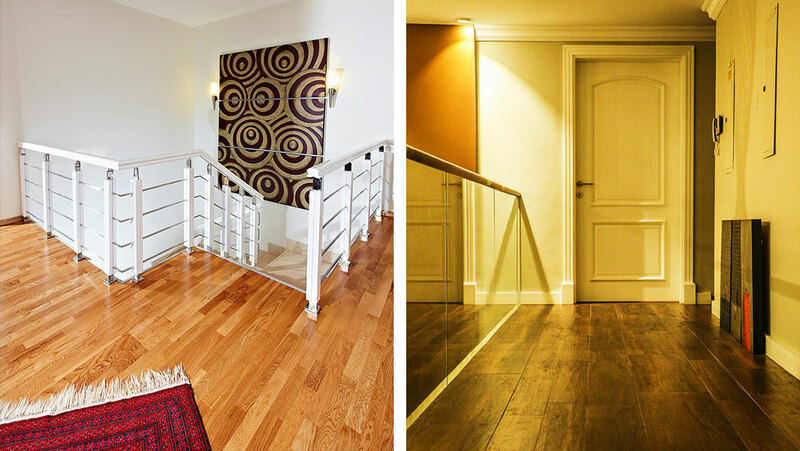 Aside from decorating your walls with eco-friendly materials, you can also transform your floors. 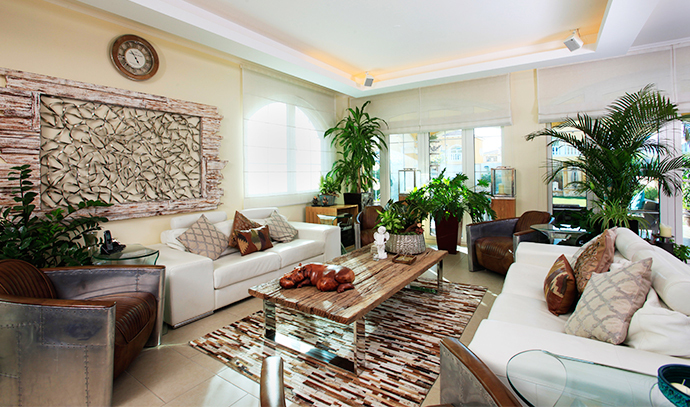 Consider switching out rugs with stone, marble or hardwood flooring like marble. 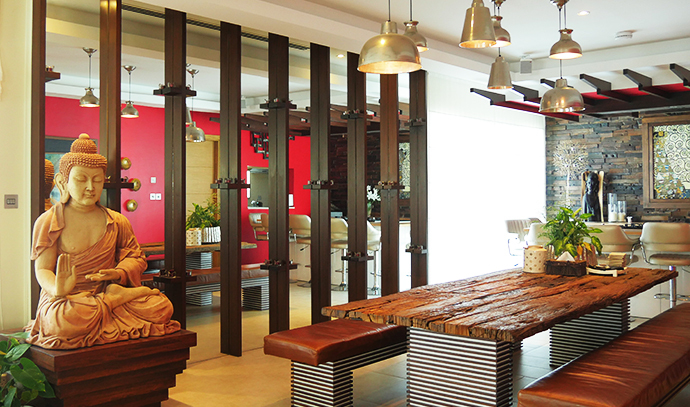 Apart from creating an eco-friendly ambiance, it can also add more appeal to your villa’s interior. Having an eco-friendly interior is ideal for creating a cozy environment while simultaneously protecting the environment and your personal health. Start with a few of the above simple tips, and you’ll be on your way to experiencing the joys of an eco-friendly and sustainable home.